Virtually all steel strung fretted instruments have some sort of neck reinforcement to keep the neck straight under the load of string tension. A hundred years ago, that usually meant hardwood laminations. Martin guitars had square ebony reinforcement inlaid under the fingerboard. 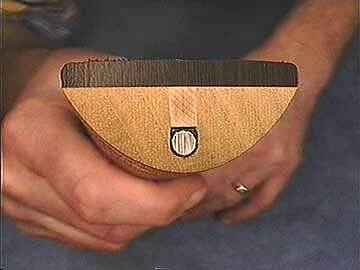 Gibson used a triangular cross section insert of maple in the same postion. In 1985 Martin started using adjustable truss rods. Click here for more information about Martin neck reinforcement. It's a graphite fiber epoxy composite, which is unbelievably strong and stiff, and very light. Some modern makers use this kind of neck reinforcement, which works quite well, but does not afford adjustment of neck relief. Nonadjustable neck reinforcement is really quite simple. 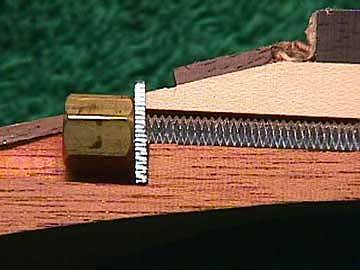 It simply makes the neck stiff so that it doesn't change with age or under the load of the string tension. Adjustable truss rods are much more complex in their action, but they allow a range of control over neck relief, and make it possible to make thin necks very stable and strong. 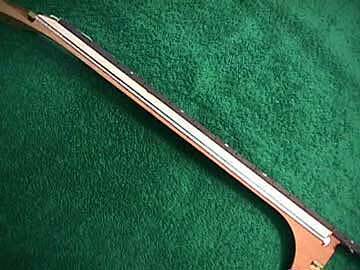 The adjustable truss rod was patented by a Gibson employee, and was a standard feature on Gibson instruments starting in 1922. 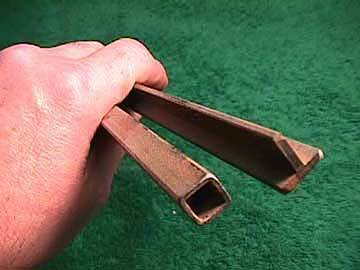 Adjustable rods of this same design are still in use today because they are very effective, light and simple. That white stuff over the rod is a maple "filler strip" that lays in the groove on top of the rod to fill the cavity. Notice how deeply the rod is buried in the neck. 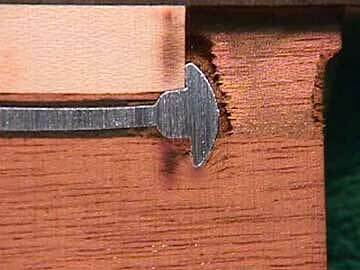 The basic action of the standard adjustable truss rod is by compression of the back of the neck. When the nut is tightened, the back of the neck is compressed and causes the neck to bend backward. It is really quite predictable because the back of the neck has a much smaller cross-sectional area, so it compresses much more easily than the front. 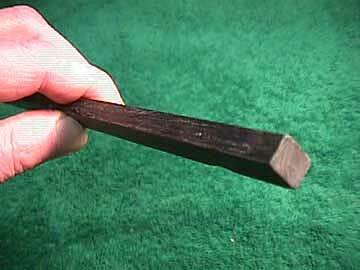 If the truss rod were mounted closer to the fingerboard it would have to pull harder to compress the back of the neck, but it could still do the job, because the fingerboard is very dense material and really resists compression. I hope that makes sense. All adjustable rods work on the same principle. Compress one side, and something is bound to bend.